Juniper Springs Lodge condos for sale are located within the Juniper Springs Resort area at the base of Eagle Express. This full-amenity "condo hotel" was built in 1999 and has a total of 181 individually owned condos, most of which are on the Juniper Springs Resort rental program. There are a total of 4 different floor plans to choose from for condos for sale in Juniper Springs Lodge: Studio, 1BA with 512 square feet, 1 bedroom, 1-bath with 560 to 684 square feet, 2-bedroom, 2-bath floor plan with 813 to 1,055 square feet, 3-bedroom, 2-bath floor plan with 1,415 square feet. The monthly HOA dues are as follows (approximate): Studio $515, 1-bedroom $631, 2-bedroom $721, 3-bedroom $801. For additional information on any of these Juniper Springs Lodge condos for sale in Mammoth Lakes, click the "Request More Information" button when viewing the details of a property. We can provide you with disclosures, past sales history, dates and prices of condos recently sold nearby, and more. 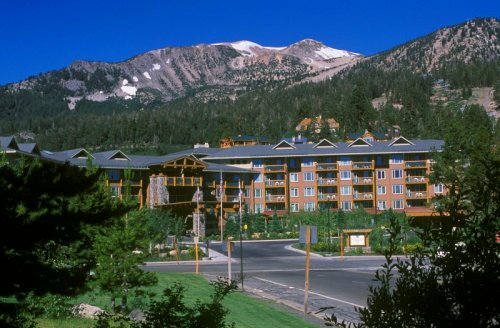 And, be sure to register for a free account to automatically receive email listing alerts whenever new Juniper Springs Lodge condos hit the market in Mammoth Lakes, CA, that match your specific search criteria.